As a preferred provider for heating and air conditioning systems, The House Doctor of Spartanburg specializes in residential and commercial sales, service, repair and maintenance. Over the years, we have proven our dedication by consistently providing the expertise, efficiency, and respect that you deserve. 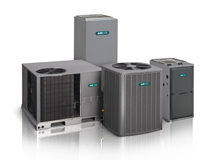 The House Doctor of Spartanburg offers a full range of products and services for all of your HVAC needs. From a new system, allergy relief, or a cost-effective service program that will help protect your valuable equipment, you’ve come to the right place. We will thoroughly explain all of the options that will allow you make the best decision to meet your specific requirements and budget. Contact The House Doctor of Spartanburg today, for more information about our company, energy-efficient programs and service packages.